And of course, Leithauser *does* need someone. He bought along a talented band of DC natives (except for one performer) including The Walkmen guitarist Paul Maroon, with whom he works very well together. Indeed, the high point of the show for much of the audience on Wednesday, Sept. 3, occurred in a run of songs that left the two standing alone on the stage. The band performed a rendition of “5 AM,” a seductively contemplative number that perhaps is the most “Sinatra” of a series of songs inspired by Frank Sinatra. (Indeed, they cover Sinatra’s “All or Nothing at All” on this tour as well.) Then, Leithauser and Maroon alone perform a bonus track called “Utrecht,” which he dedicated to DC despite it being named for a Dutch city. 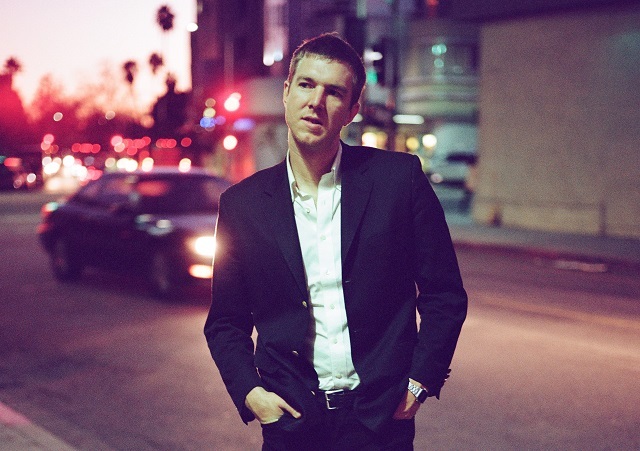 Throughout it all, Leithauser manages the very difficult task of sounding unique! Given the focus on vocals in all of his songs, it’s not difficult to place his music in a vocal genre. Some critics have labeled the album Black Hours as chamber pop, but that doesn’t quite work for me in live performance. First, Leithauser’s touring band has a light footprint; and second, he sings in a classic pop style that perhaps has a touch of Americana to it. The overall result is a welcome vehicle for Leithauser’s powerful voice. Leithauser and his band received a very warm reception at the Lincoln. On the night I was there, the theatre was mostly full of admirers who were there as much to see his performance as they were the headliner, Spoon. It was a refreshing turn for a town that often doesn’t turn up for the opener, but Leithauser clearly was no ordinary opening act. The DC crooner is set to continue his tour currently through Oct. 2, giving a lot of folks a chance to catch his act through locations from Philadelphia to New York to Birmingham. He’s well worth catching if you want to catch an intelligently crafted, earnestly delivered show by a talent that doesn’t want to sit still.